We could uncover some possible Grand National clues on Saturday as we welcome back the Becher Chase to Aintree. A quality field has been assembled for the 27th running of this race with last year’s winner Blaklion once again popular among punters in the run-up to the race and it’s easy to see why. There may just be a very good one against him though, especially for each-way purposes. Having won this race in grand style and clearly appreciated these fences, many still were not having him for the Grand National believing he wouldn’t stay the extra distance. They may have been right but he is back in conditions which are right up his street this time and he remains the most solid of those at the top end of the market. One slight negative for him is that he came into last year’s race having had a run unlike this time, though he can go well fresh and his excellent trainer Nigel Twiston-Davies knows exactly how to ready them at this time of year. Gordon Elliott’s 9yo has previous here; a 2015 win in at Listed level and a second in the 2016 Betfred Bowl read well and on the ratings he must be one of the most consistent horses in training. Being consistent doesn’t always make you well handicapped though and having had a problem Don Poli hasn’t been seen in public since February 2017 so he may well be better with this race under his belt. Elliott’s apparent second string has a fair chance of at least some place money having run well enough on seasonal reappearances before. Like his stable mate though he hasn’t run for over 600 days and may be seen to better effect later in the season, though that doesn’t detract from the fact that off a mark of 152 he is certainly not badly handicapped and will stay all the way. A stayer with just 13 chases under his belt, Present Man has plenty more to give and so whatever he does over his next couple of races we have to expect improvement of some sort. A third in the Bet365 Gold Cup and a reappearance win at Wincanton have set him up nicely for this. Seen by some as a good ground horse, he has in fact not stopped improving when faced with softer going and so we should in theory be seeing a career best on Saturday which is not something we can say about too many in the field and he has to be a big danger for Paul Nicholls and Bryony Frost. David Pipe has ensured this horse has had a wind operation since last seen and he may well improve some for that procedure, though that is far from guaranteed in the short term and his form overall doesn’t quite look good enough to score here at the weights. He certainly has place chances though with his best piece of form having been a nice win over Blaklion at Haydock last February. Writing this without any chips on either shoulder; if Walk In The Mill was trained by someone other than Robert Walford he would perhaps be half the price he is at around 20/1 going into Saturday. He brushed off the cobwebs with a decent third at Cheltenham in November and showed a fine level of form for a horse at the bottom of the weights when scoring at Ascot this time last year over three miles and his profile overall is one of an improving chaser. 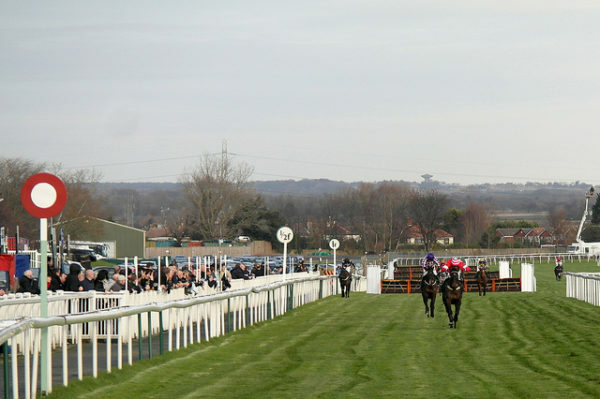 A career best could be on the cards and if that transpires he could prove to be the best each-way shout of the whole afternoon under James Best. Last year’s winner Blaklion will be popular once again and to be fair he should be, though Present Man is bound to be backed too and he represents a huge danger for the Nicholls yard. At the prices though this WALK IN THE MILL (each-way) could be the one to have a few pounds on, especially if his huge price holds.